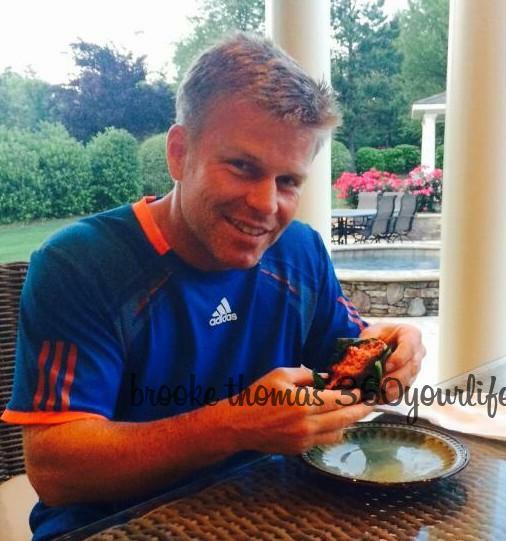 Are you looking for a unique, but healthy recipe for Memorial Day weekend this year? This has been a new favorite in the house! 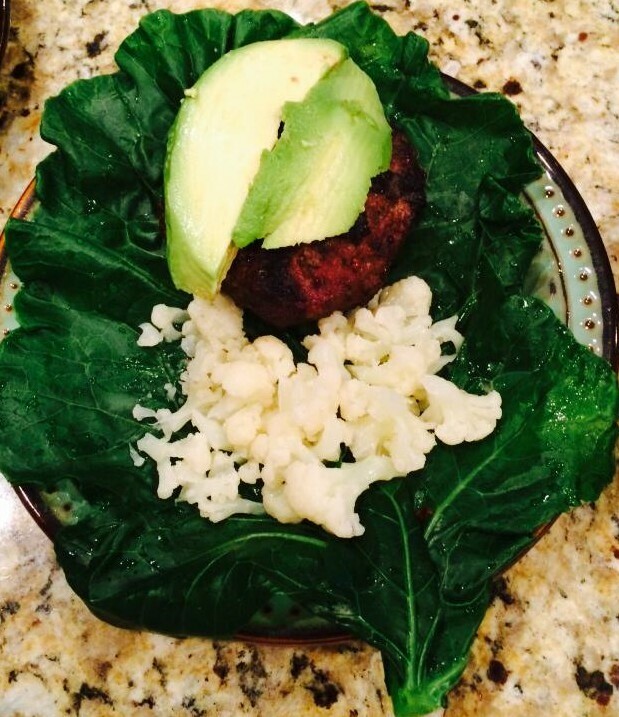 Grass fed burgers wrapped in a blanched collard greens! This recipe is very flexible. You can add avocados, healthy condiments, or any other healthy toppings you like. 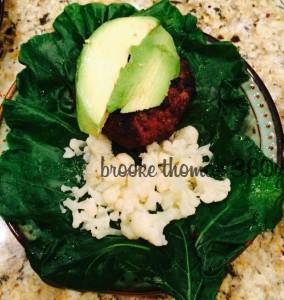 I love adding goat cheese and cauliflower rice to my Cool Collard Green Burgers. My husband loves cheese and avocado with several different toppings. First, you will need 24 oz. of Grass Fed and Finished ground beef to make 4 (6 oz.) burgers. In a large pot of boiling water, gently blanch the collard greens for 1 minute. Remove and place into an ice bath (bowl of water and ice cubes) to stop the cooking process and to retain the bright green color of the collards. Remove the leaves and dry with a paper towel. Set aside. Mix burgers ingredients and set aside. Hand press the burgers. Use ½ to ¼ pound of grass fed beef per burger, depending on your preferred burger size. 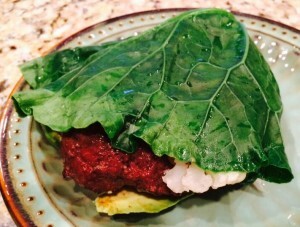 Baste burgers with marinade prior to cooking. Cook approximately 3-5 minutes per side on medium heat on the grill depending on size of burger and if you prefer medium rare to medium. DO NOT OVERCOOK burger as it will dry out due to the very low fat content. I prefer medium rare. Since these burgers are grass fed and finished and have never had any antibiotics or hormones, you can safely eat this type of meat as rare or medium rare. Only flip the burgers once while cooking. Health Tip: The omega ratio in Grass Fed and Finished beef is anti-inflammatory as opposed to pro-inflammatory with grain fed, commercial, factory-raised beef.